Title: Kingdom of Heaven. A truly legendary cast leads this visually spectacular epic, including Orlando Bloom, Eva Green, Liam Neeson and Academy Award-Winner Jeremy Irons. Bloom stars as Balian, a young blacksmith who has lost his family and his faith. Trending at $11.30eBay determines this price through a machine learned model of the product's sale prices within the last 90 days. Notes: Disk is in good condition with minor to no wear. All disks are refinished to improve condition as needed. Case and artwork are in good condition with no tears or cracks. About Goodwill of Southern California. 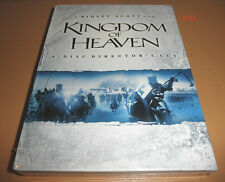 You will be getting Kingdom of Heaven blu-ray. It is in very good condition. 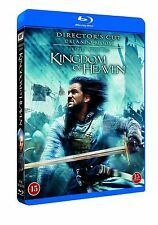 Kingdom Of Heaven (Directors Cut) Blu-ray. (Blu-ray, 2005). WE SOLVE YOUR PROBLEM. Issue with Orders. 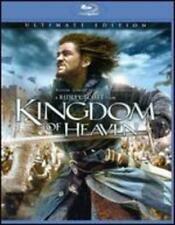 Kingdom Of Heaven (4 Disc Special Extended Director's Cut) [DVD] - Region 2 Condition is Brand New. Shipped with USPS First Class Package. 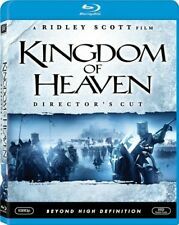 Title : Kingdom of Heaven - The Director's Cut (Four-Disc Special Edition). Studio : 20th Century Fox. Director : Ridley Scott. Format : Box set, Color, Director's Cut. Digital Code may not work or missing. 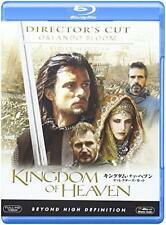 Kingdom of Heaven Director's Cut.